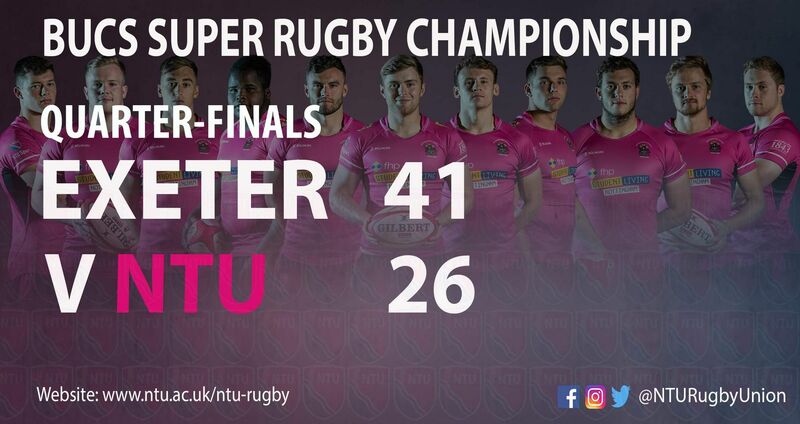 NTU faced Exeter in the quarter-final of the BUCS Super Rugby Championship last Wednesday. An enthralling encounter took the game to the final 10 which some wouldn't have expected, but it was Exeter that surged forward with two late tries to progress to the semi-finals. An early try from Exeter out wide got them off the mark after 5 minutes, which Harry Graham then responded to with an interception on half-way. Exeter then slotted a penalty in front of the sticks to make it Exeter 8 – 7 NTU after 25. A cute grubber from David Williams, allowed Harry Graham to flick the ball on with his boot, that Scotty Hall collected then laid back off to Graham for him to score his second: Exeter 8 – 12 NTU. Exeter were the ones to finish the half with points and the lead though, after they walked a maul over from the line-out: Exeter 15 – 12. NTU would have been more than happy to still be within touching distance of Exeter and have every chance of winning going in at half-time. Defensively NTU showed they could cope with Exeter and weren’t shy to exploit them when opportunities arose with the ball. NTU have been victim to early scores in recent weeks, but it was them who took first blood in the second-half. Exeter were unable to stop Jake Farnworth peeling off the line-out maul 5m out to go over: Exeter 15 – 19 NTU. The lead was short-lived however. Exeter were back 2 minutes later after a break through the NTU defence to put them back ahead: Exeter 22 – 19 NTU. With a break in the score for 10 minutes, both sides begun to up their intensity. Exeter were then awarded a penalty try for back to back penalties in the maul. A yellow card for NTU meant it would be an uphill battle from here: Exeter 29 – 19 NTU. 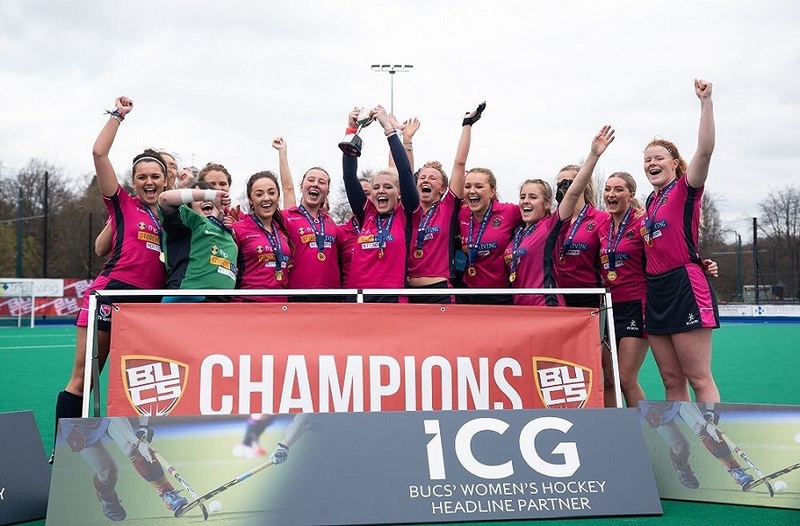 To Exeter’s surprise, NTU weren’t quite finished yet. A lovely chip over the top from Will Sutton, landed in the hands of Williams who gassed four players to score: Exeter 29 – 26 NTU. 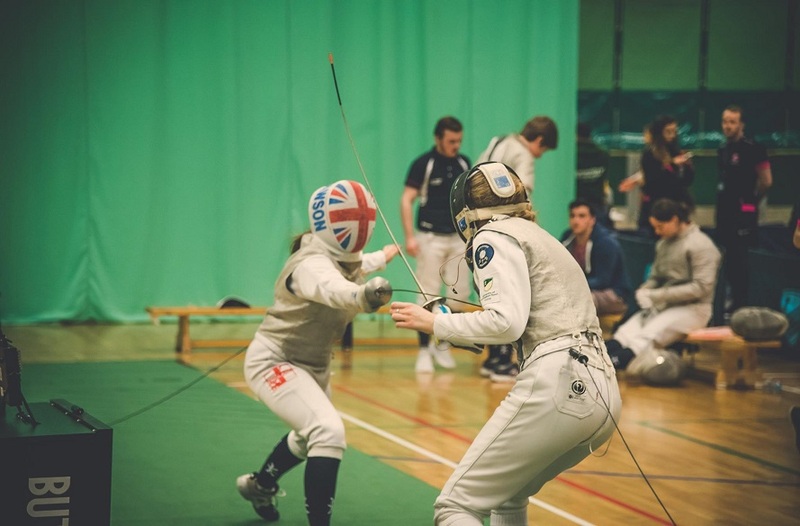 With 10 minutes to go, Exeter started to pile on the pressure, and despite a strong effort from NTU, they were unable to stop them from scoring twice to kill the game. To take Exeter into the last 10 minutes of the game before them feeling any certainty of victory, is real testament to the NTU side that made the long trip down to Exeter. Many people would have written off any chance of NTU winning and would have not expected the game to be as close as it was. Even though they did lose, NTU will be extremely proud of the way they performed in front of a big home crowd. 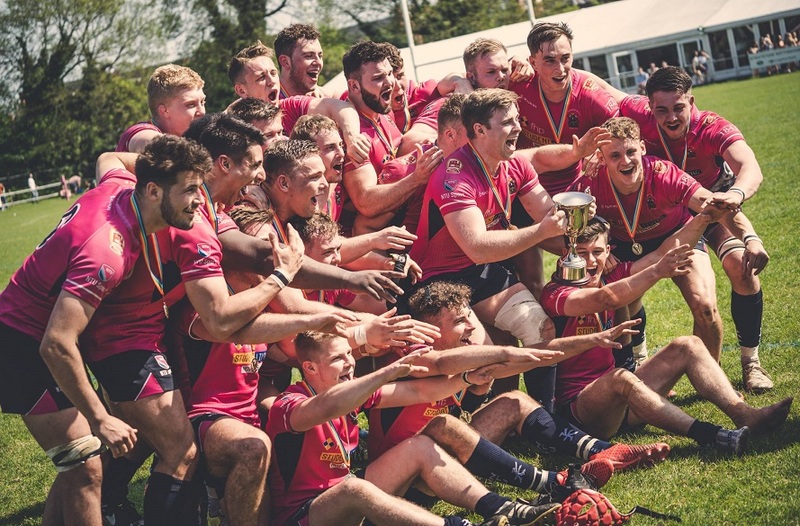 The same fixture in the league finished Exeter 50 – 7 NTU, and the side that turned up last week looked a completely different outfit to the one earlier on in the season. It would be an understatement to say that the season for NTU hasn’t been the toughest in recent years. One factor that may attribute to the time it has taken for NTU to get going is the amount of change to the side compared to last season. Winning the league last year has been the best thing that has happened to the club, to put us in the position we are today. However, we appeared to end a cycle and lost a number of players that had been playing together since starting at NTU. This is something that affects every club but fortunately with the BUCS Super Rugby regulations we are here to stay and fight another year. When looking forward to next season, things can only get better for the NTU, with an established team that can be built on and made stronger. As stated many times before, Leeds and Cardiff both completely turned around their seasons this year to show how a cycle can affect a team so much. It will be really interesting to see how NTU perform next year after finishing as strong as they could in their final games. Who knows, it could be the men in pink lifting the BUCS Super Rugby title next year if everything falls into place.